Fiamm SMG Solar OPzV Battery Cells. 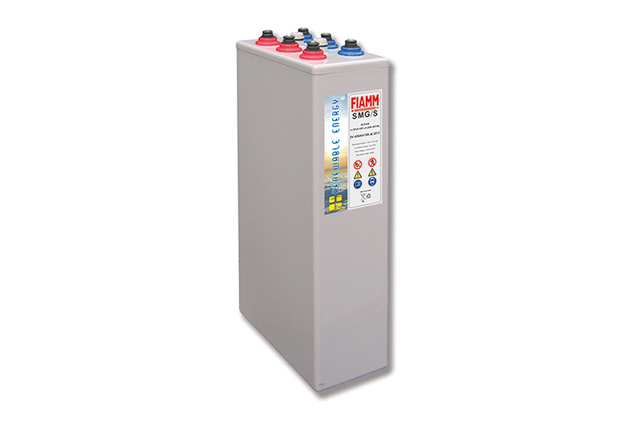 The Fiamm SMG/S is a solar optimised OPzV cell series offering capacity up to 3,900Ah at C120 designed for regular and long deep discharge performance ideal for renewable energy such as wind or solar, off grid applications, telecoms and environments that are subject to unstable grid power supply on an ongoing basis. Using gel technology the SMG/S cells offer excellent cycling capabilities and an 18 year design life in float conditions (Eurobat ‘long life’ classifications - 12 years and longer). Technical features include tubular positive plates, strong ABS plastic case material as standard, high integrity post seal design to prevent any possible leakage, long shelf life and the option to install in either vertical or horizontal position. For those looking for a premium OPzV gel solution the SMG/S catalogue offers a great choice with first class reliability built to the highest industrial standards. 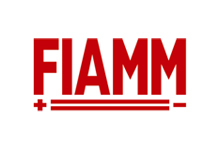 Blue Box Batteries offer the full Fiamm industrial battery selection, for help and advice please contact us directly, we are always available to help and provide any necessary technical assistance that may be required for your specific project. We look forward to assisting you.